It’s cold and flu season in the Great Lakes region. That means pain and suffering for many folks. Usually, the common cold and influenza are caused by viruses. This means the antibiotics that are sometimes prescribed by doctors really does nothing but kill off beneficial bacteria in the gut. This can leave a person even more immuno-compromised than before they sought aid from the doctor. According to some historians, Alexander the Great drank water from silver vessels. Little did he know, the silver was acting as an antimicrobial agent to kill off harmful “bugs” that may have been living in the water. Silver has been assigned all kinds of magical and mysterious properties throughout time. It can slay werewolves and vampires and all kinds of, now referred to as, zombies. However, it is all but lost in medical history that silver was once the antimicrobial of choice. For some reason, of which I can only speculate as I was not alive then, the FDA began a campaign to rid the market of all silver products. There are some who allude to the US-FDA, having been originally called the Bureau of Chemistry in that era, waged war on all natural products that could not be patented. Again, this is speculation on my part. However, I once read a text book called “The Sociology of Modern Medicine.” This book shed much needed light onto the subject, in my opinion. While the offices, like the FDA, did much to protect us from harmful substances, they also have kept us in the dark on most natural products that can be extremely beneficial. While I realize a lot of people prefer to error on the side of caution, I would like to think there is a way we can have both exist in our society. Silver, as it exists in alternative and complementary health today, is usually found as a colloidal suspension. This means the silver has been split down in to tiny particles to be suspended in an aqueous form. In many home generators of colloidal silver, this is done by passing a current through a pure silver electrode in pure water. This changes the behavior of the silver molecules and then keeps them buoyant in the water. The particle size can be very small – right down to a fraction of an Angstrom. Consumption of silver in this form, while probably not fatal, is not usually suggested by the FDA. 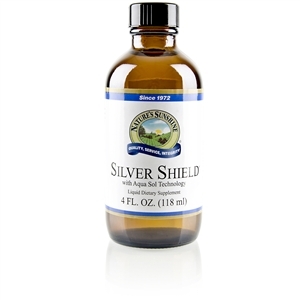 In fact, in 1999, the US FDA banned the sale of all colloidal silver products claiming to treat, diagnose, treat, cure (basically all those things which natural and alternative remedies are not allowed to do….because, according to the FDA, these actions can only be performed by modern medical drugs, etc). The FDA has also said they have found a wide variance in the amount of silver in various products and the labeled amounts. Silver is not a necessary mineral, per se. It is only needed by the body in trace amounts. If a person were to consume too much of a silver product, or large quantities of a poor quality silver product, he could actually turn himself silver. Well, actually, a greyish-blue tint. This is where the term “blue-blood” comes from. The wealthy at the turn of the 1900’s frequently ate from silver dishes and utensils. The acid in the foods tended to strip the silver off the utensils and pass it along to the diners. While this condition is not normally fatal, it is not reversible, either. Also, it should be mentioned that poor quality silver products may be linked to irreversible kidney damage, too. With all of this scary information out there, it’s a wonder anyone tries silver at all, right? Well, let’s look at a new break through in silver technology: nano-silver particles! Nano-particles are those particles which are so small that they pass through the kidneys immediately. This means no (or virtually no) retention of the silver. The silver can do it’s job and then pass freely from the body. This is great news! How do we find these teeny particles? Silver Sol is produced through technologically advanced procedure secured by a patent. Don’t let me stop you, go check out what Dr. Gordon Pederson has to say about Silver Sol.